I wanted to talk about something that I am passionate about. Music. This is the beauty of Myspace, Facebook, and every other social media element that exists within the web. It’s meant to share information, expose at a high level, and get conversations going. Independent musicians and artists are increasingly finding themselves better positioned and empowered by the fact that they can focus on exposing people to their music, pack conert halls or venues, and get people better engaged with what’s going on with their careers. It’s more attainable now than it was even 5 years ago. The debate about the changing of technology and how that has affected the music industry goes back and forth regularly. Keep in mind, it has affected the MUSIC INDUSTRY…as in the big music industry….but it has affected the MUSICIANS in an overwhelmingly positive way. 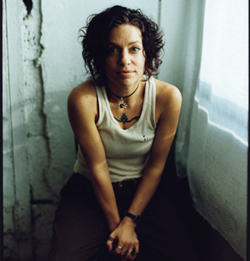 Before the internet, Ani DiFranco was the living, breathing, walking version of DIY. She did everything on her own, and on her own terms, and never looked back. Righteous Babe records was moving a million units of releases to the bewilderment of big execs at Capitol and Warner in the 90’s, and she’s a pioneering example of what Do-It-Yourself truly means. Record industry in slump — CD sales down 30 per cent! We’ve all seen the headlines and heard the dire warnings of the music industry. If I were a member of Metallica, I might be concerned about the downloading debate. But what does it really mean to the other 99.99 per cent of musicians — the average working artists? I’m one of those guys. I’ve spent 20 years playing in bands, touring and releasing records. I’ve played rock’n’roll, punk rock, folk and country. I’ve performed in tiny, empty clubs and at gigantic outdoor festivals to 20,000 people. So how am I, and the thousands of other working musicians like me across Canada, really affected by file-sharing, MP3 and downloading? According to the major recording labels, this trend is a direct threat to my livelihood; a death blow to the artist, a bullet to the head of Canadian culture. I think it’s a godsend. Internet downloading, and the technologies on which it’s based, will turn out to be the best thing that ever happened to musicians. Think about this: The same technology that has led to Internet file-sharing has also allowed musicians to record and distribute their music for a fraction of what it previously cost them. Most of us now have digital-quality home studios on our computers so we can record music virtually for free. What happens to a product when the cost of production decreases? It’s pretty simple: The market becomes flooded and the price drops accordingly. But this isn’t a bad thing — I can afford to offer all my music as free downloads because technology now allows me to record, advertise and distribute my songs worldwide for free. Just 10 years ago, these things cost me a fortune. This is a pretty good deal, to say the least. Of course, one of the things technology has done is to get rid of the middlemen. Here’s where the music industry loses and the musician wins. We’re finally in a world where artists can easily create, record and distribute their music to almost anyone, anywhere. There’s no lawyer, distributor, or record company to pay. Is it any wonder that the outcry we hear is from the record industry, and rarely the artist? So should we just give away music for free? In fact, this did happen in pre-Internet era. One of the most successful music groups of the past 30 years, the Grateful Dead, built its entire career on encouraging its fans to record live performances and trade recordings. Recently, groups such as Phish and the Dave Matthews Band have tapped into the same scene. They’re savvy enough to know which way the wind is blowing. Now, don’t get me wrong. I’m not saying that the mass-marketed Britney Spears of this world are going to disappear overnight. However, there is going to be a rapid rise in a segment of the music business consisting of artists who distribute their music purely by free downloads and fans’ file-sharing. These bands will combine a non-commercial philosophy (in the style of the Washington-based band Fugazi) with the Grateful Dead’s community-music-sharing culture, creating an entirely new way to be a successful, important cultural factor. And mark my words: Very soon one of these “Fugazi Dead” bands will become international superstars without having sold a single record. I think it’s pretty simple: In the future, the artists who entice the most people to download their music for free and to pass it on to their friends are generally going to be successful. The artists who don’t realize this and continue to try to manufacture, distribute and sell music will generally fail. So why is all this happening now? What has changed? The answer, again, is technology (or more accurately, the way people perceive technology). Twenty years ago, consumers were enchanted by a shiny new product called a compact disc and happily opened their wallets. Today, they see the same product as almost valueless. Many of the current woes of the record industry are directly due to the CD format. Consumers do not perceive the value of this format as being worth what the music industry wants to sell it for. Take your average rock fan who buys three or four CDs each month. He comes home from the mall with a new release. Walking in the door, he picks up his mail, which includes the latest AOL junk mailing. He tosses this into the garbage with one hand, while the other holds the disc he’s just spent $20 on. Beside his computer is a stack of disposable CD-ROMs. Just this morning he discarded a gaming CD that came free in a cereal box. Can you blame this fan for thinking maybe he overpaid for recorded music? After all, there’s nothing special about the disc he bought. Many 10-year-olds can make the same thing at home. Our average music fan just spent $20 on something that looks like it should be thrown away. The music industry has to remember that the consumer perceives value not only in content but in format, too. It has acknowledged this in the past. During the era of the 12-inch LP, record companies released cassette and eight-track tapes priced at about 70 per cent of an LP. No matter how much consumers wanted the portability for their car stereos and portable tape players, that format, which was considered inferior, commanded a lower price. Today’s consumers are sending a clear message to music companies: Recorded music in CD format will not command the prices charged in the past. Barring the introduction of a higher-value format, the traditional business of manufacturing and distributing music is dying. At the same time, these changes create amazing opportunities for Canadian musicians. We can control the creative processes — from writing to recording — just as musicians did before the managers, agents and labels took over. We can reach audiences that are potentially universal — rather than just the slices that the record-distribution and commercial-radio industries are willing to dole out. The traditional handicaps of being a Canada-based artist are shrinking dramatically: Geographically dispersed audiences, weak financing, and remoteness from U.S.-based media, all matter less and less each year. Canadian musicians are being liberated from middlemen and corporations. The sooner we realize that the rules have changed, and start rising to the new opportunities opening up for us, the better off we’ll be. Tom Stewart, a 20-year veteran of Canada’s music scene, leads the Ottawa-based, alternative country band, Slo’ Tom and the Horseshit Heroes, which released its first album in 1999. He also played bass guitar for the punk rock band, Furnaceface, which has released five albums. All his music can be downloaded from the Internet. Tom is one of the owners of Spaceman Music in Ottawa. I’ve been shopping here for years…check out their site. This is the best place in the nation’s capital to get vintage gear, and their tech crew is second to none for repairs at a reasonable cost.